- Cutters. A sandwich served on a Barbados baked good known as salt bread, a cutter typically contains fish, ham, or egg. Dressed-up versions will sometimes also include lettuce, tomato, or cucumber. - Fish cakes. 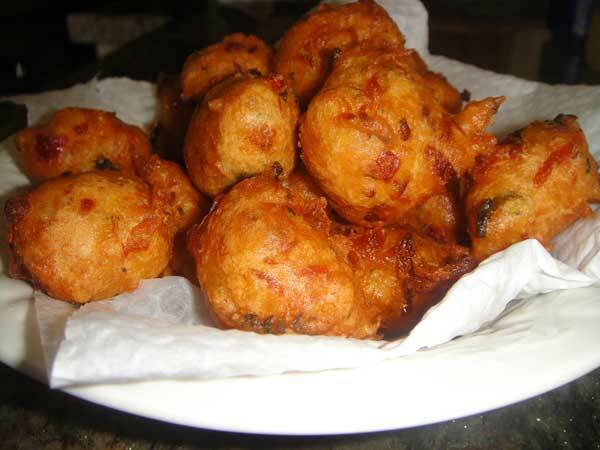 These fried fritters are made of salt fish and various traditional herbs and spices. The cakes may come in small balls or disks and are typically served with a dipping sauce made of hot peppers. - Cou cou. While not a dish on its own, cou cou is a popular accompaniment to meals that is similar to polenta or grits. The dish is made of cornmeal with okra for additional texture and flavor. - Flying fish. Called the national dish of Barbados, flying fish can come either fried or steamed and is often accompanied by cherry tomatoes and sliced onion. Cou cou is the traditional side for the dish.